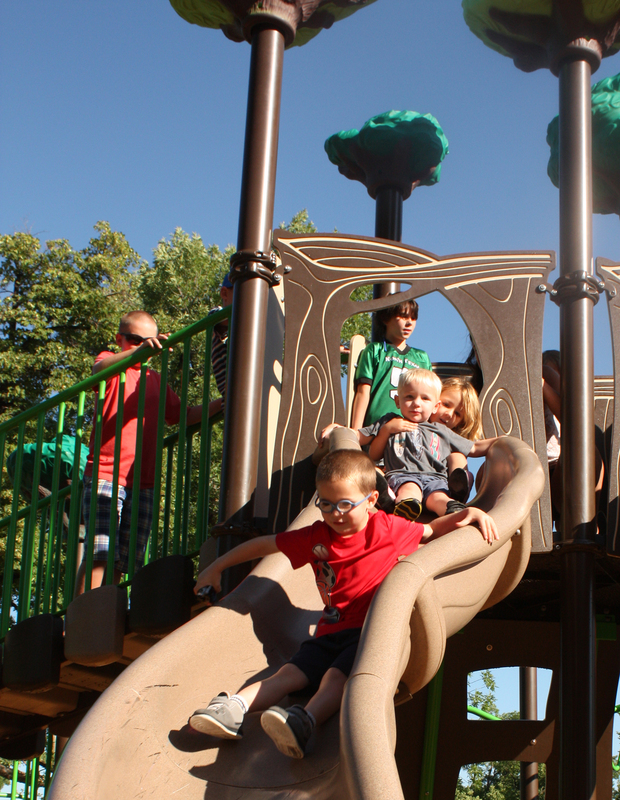 For the past few months the City of Grand Junction Parks and Recreation and Police Departments have increased inspections and patrols at our city parks. This comes after receiving several reports from people who said they found suspicious items in our parks. While some of these reports have included evidence to back up the claims, others have not. Regardless, we take each report very seriously, and every day we are checking our parks to make sure they are safe. Learn more about what we are doing by listening to our latest podcast on The Insider on the GJPD Patrol. If you see something suspicious, call 911. Anyone with information about these incidents can report it anonymously online at www.241STOP.com or by calling 970-241-7867. 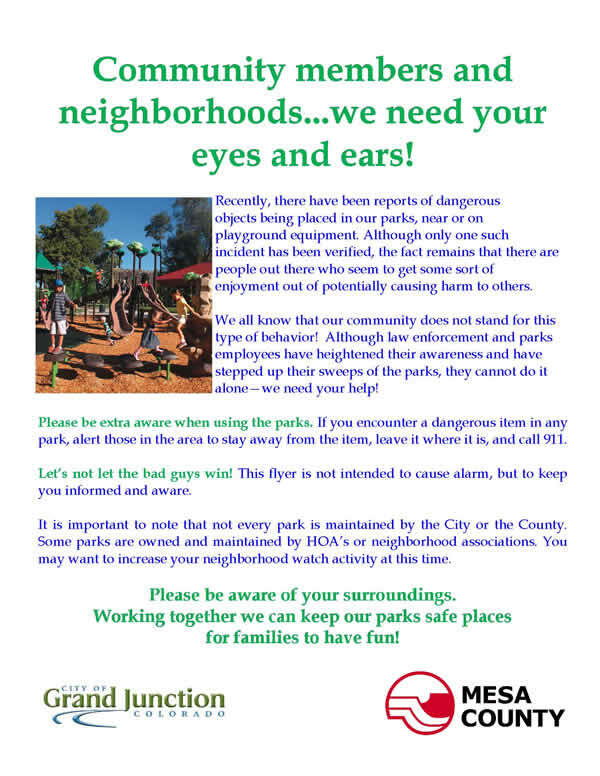 This entry was posted in GJPD News, The Insider on The GJPD Patrol and tagged grand junction police, grand junction police department, Law Enforcement, Mesa County, park inspection, parks.